Place: Oodi Library, at The Big Art Carpet, 3rd floor, Children’s Area. / Biblioteca Oodi, en la Gran alfombra de arte. Sección infantil. 3er piso. – The Best Nights? 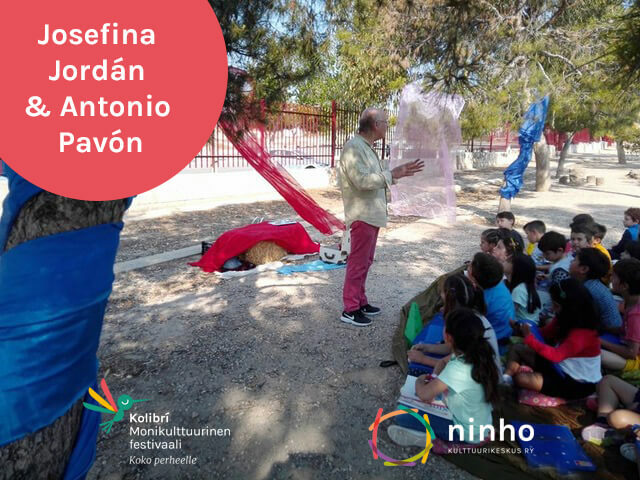 Kids and Books: Josefina y Antonio propose to bring literature closer to the youngest children and also to share with other adults a meaningful orientation to quality literature for children, essential for a healthy personal growth of children and youth. – Does the Helmet system have good children books in Spanish? How can they be found? Lau Gazzotti introduces a general overview about the 2,500 children books in Spanish that are available in the Helmet system and gives some advice on how to find them. – Tiene Helmet buenos libros infantiles en español? Cómo encontrarlos? Lau Gazzotti presenta una mirada general acerca de los más de 2500 libros en español para niños y jóvenes disponibles en en el sistema Helmet y ofrece algunos consejos de cómo ubicarlos. Additional information/Información Adicional: READING TOGETHER on the Kolibri festival webpage. Next Post: 15.3.2019 CAI SANA SOI?